Fortune Inn Valley View, Manipal has something to offer to every business traveler, individual and family alike. Built on the edge of a plateau with a view of the green valley and Western Ghats, this hotel in Manipal offers a choice of 68 well-appointed rooms including 40 Standard Rooms, 22 Fortune Club Rooms, 2 Executive Suites and 4 Director Suites. All the rooms are spacious, elegant and have been designed to ensure a pleasant stay for the guests. Our Standard Rooms aims to offer a blissfully relaxed stay in a contemporary ambience. 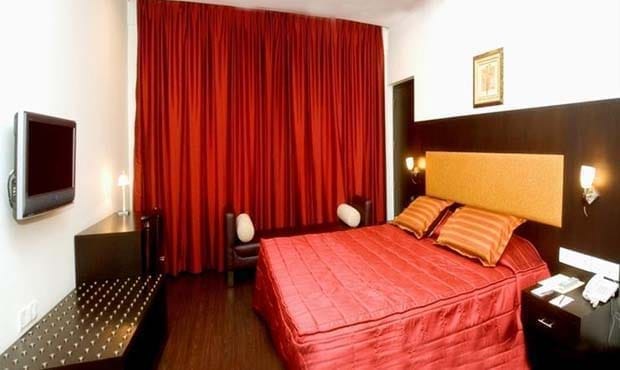 The room comes with an option of either king size bed or twin beds. Luxurious suites with a spacious master bedroom, dedicated living area and four fixture bathroom.